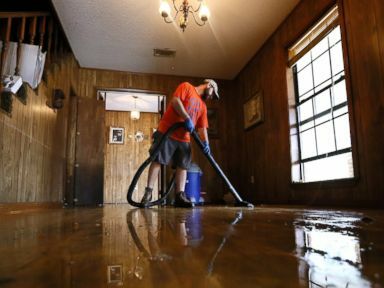 Homeland Security Secretary Jeh Johnson will visit flood-stricken Louisiana today, one day after the death toll rose to 13. Officials confirmed Wednesday night that there were two deaths in Livingston Parish, two in St. Helena, five in East Baton Rouge, three in Tangipahoa and one in Rapides Parish. Johnson will review the federal government's response to the flooding, which has prompted 70,000 people to register for individual assistance. 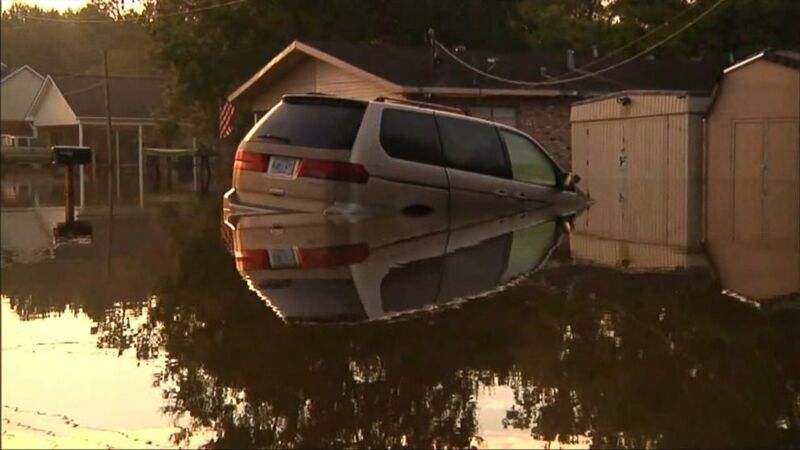 More than 9,000 have filed flood insurance claims. Some 40,000 homes have been affected by the flooding -- which Gov. John Bel Edwards has called "unprecedented" -- that hit the Baton Rouge and Lafayette areas. And some 8,000 people were in shelters as President Obama declared a state of emergency in the area. On Wednesday, officials in Vermilion Parish in southern Louisiana called for residents to evacuate amid rising waters there. Gueydan Fire Chief Evans Bourque said the evacuation affects about 60 to 70 homes and less than 100 people.